Continuing from last week, today we finish counting down the proposal challenges that APMP’s Olessia Smotrova-Taylor‘s has uncovered in her more than a dozen years of proposal manager experience. We are talking about the six most popular struggles proposal managers face, with ways to solve them to boot. So let’s get down to solving those challenges you and so many proposal managers are facing! We at Quote Roller couldn’t wait to jump on Olessia Smotrova-Taylor‘s webinar last week, live from the Association of Proposal Management Professional’s Bid & Proposal Con this week in Atlanta. Olessia has an outstanding background in the grants and business proposal world. 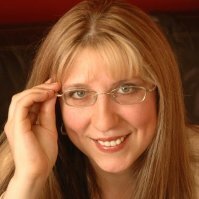 She is now the president and CEO of OST Global Solutions, where she not only acts as a consultant, helping companies looking to better develop their business, but she also researches common themes all business proposal writers share, whether for big business, government or us growing SMBs. With all this experience, Olessia has been able to notice some themes of Common Challenges that proposal-writing teams of all different sizes are looking to overcome — and some of them might surprise you. So, let’s jump right in and she what she had to say about how to overcome the Top Ten Proposal Challenges! You have doubtlessly worked super hard to write a business proposal filled with insightful information and topped-off with an enticing call-to-action. You and your team have undoubtedly done everything possible to make sure that your company takes the winning bid. And then you submit said proposal, and… Chirp. Chirp. Sure, we have all experienced it, but no one really enjoys waiting for an answer — patience is a virtue so few of us have. You know that your prospective customer has looked at the business proposal. But, you grow anxious, waiting for something — anything — that will tell you if the efforts you invested in writing the business proposal have paid off. By now, you probably know that Quote Roller can tell you what your prospective client has seen in your proposal, how long they linger on a given topic, and at what point they bail out, in the event that they do not accept the business proposal right away. Real-time analysis is great, but you are wondering “Uh, what can I do to help seal the deal after they have seen my proposal?” Right? This is a perfectly reasonable question to ask. Thankfully, there are some helpful things you can say once your customer has read (at least some of) your proposal to insure its success. If you have submitted a business proposal, but it has neither been accepted nor declined, do not allow fear to get the best of you. Put away that sad trombone and start thinking on your feet! The companies that receive your business proposals are chiefly concerned with their own best interests, just like you. So, when a prospective client reads through your proposal, they are thinking about what your company can do for them. Your task is to ensure that you’ve presented all the key information that your prospect is looking for clearly within the business proposal. But, sometimes you will find that you have missed out on answering a critical question for your customer. Even though you put a full effort into drafting your business proposal, exhaustively attempting to explain every minute detail, you cannot think of everything, every time. As a result, the unanswered questions running through your prospect’s mind may prevent your proposal from taking the bid. Today we are talking about the questions probably running through your client’s internal monologue while they are reading through your quote. Knowing them will surely help prepare you for future business proposals and will help prepare you for any negotiations after the proposal is sent. How Do You Know If Your Proposal Was Good? To be signed or not be signed that is the question most people ask. But is that the only way you can know if your proposal was good or not? Of course, if it’s signed is the most important criterion, especially to you and your growing business, but there are other ways to use metrics to measure if your proposal was a win, lose or draw. Whether you’re a professional proposal writer or simply a professional trying to expand your business, we are going to break down some ways to determine the value of your business proposal. This month is about looking back after writing a proposal, sending one, or having one signed (or not) and measuring its success. Most people gauge their success on whether a business proposal is signed or not, which may or may not be true because certainly part of it is luck. Either way, when a project is finished, it’s a brilliant moment to reflect on how everything went. Today, we’re building on a month-long discussion on the Bid and Proposal Management LinkedIn forum, where we can discuss the common mistakes you make when writing a proposal. For some people – doctors, automotive technicians, and dry cleaners, to name a few – the price is never haggled over. This is because the people behind those industries have created, over the course of many decades, a culture of unquestioned price acceptance in consumers’ minds. How awkward would it be to tell your dentist “I’d like to offer you $500 to perform my root canal,” with the going rate for the procedure being around $900? Chirp, chirp – it’s rather hopeless, right? Why shouldn’t you demand the same respect your dentist receives? After all, there is an investment of time, money, and effort on your part, just as the dentist. What on earth makes people more willing to pay for a root canal than what you have to offer? Everyone deserves reasonable compensation for the work they do, right? The answer is that while both are ultimately services, the average person is imminently aware of the benefit of a root canal, as well as the high level of skill inherent to medical dentistry. Most consumer- and professional-level service providers do not get to enjoy the same level of public acceptance of pricing because the services they provide are not immediately quantifiable, measurable, or (in many cases) tangible. So how do you handle the situation when the company you have submitted a proposal to responds that they like your plan, but not your price? The challenge becomes changing the conversation from a price negotiation to a discussion of the value of your services. Let’s take a closer look at the top five tips for negotiating service, not price. Smash Through Client Objections Like A Superhero! Few things strike fear into the hearts of proposal writers like the anticipation of client objections once you’ve submitted a proposal. You’ve worked hard to make sure your proposal is chock full of the requisite information and compelling reasons why yours is the business to pick for the project. Yet, it never fails that objections come out of (seemingly) nowhere – often, catching you unaware of exactly how to respond. There’s no one way to consistently head off client objections before they happen, but there are some key steps you can take to respond to the most common objections with a healthy dollop of confidence – and a touch of savvy salesmanship. Yesterday, we began our two-part series on how to Address Client Objections Within Your Proposal, and now we continue to teach you how to knock those objections out. Let’s have a look at what it takes to smash right through those objections like the Incredible Hulk through a brick wall, with five simple steps! The best way to prepare for battle is to anticipate your enemy’s strategy. The best way to prepare to close a sale is to anticipate your client’s pains, concerns and objections. We can’t say enough how your entire sales and proposal strategy should be based around what your client needs or thinks, but sometimes that’s just not something you can know. So today we are breaking down how to anticipate your client’s needs and objections before you even talk to them, and how to address them when writing your next business proposal.